This book is full of a lot of great information, I feel like I learned so much about President Nelson. I would recommend this book to everyone, but I really hope they rewrite his biography someday. For the time being it is better than nothing. I'm sure the author did his best, but there is a lot of repetitiveness and doesnt always flow well. 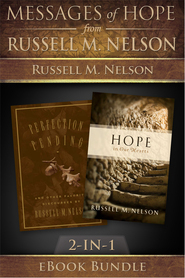 I would really like to see Heidi S. Swinton do a book for him, I love the way President Monson's biography turned out. Very Inspiring and captivating. I couldn't put it down. This book was so inspiring. Pres. Nelson has been prepared at an early age for his service in the church and the medical field. It was motivating and uplifting to read chapter after chapter about his habits and character. This is a must read!! 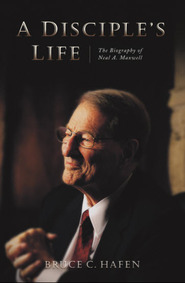 This is a great insight into the life of a great man, who is primarily a husband and father, but who has juggled many great responsibilities throughout his life. The author could have made the book much shorter by condensing all the travel chapters. It really got dry or slowed down in those spots. The author also got a little too carried away with his adoration or praise of this apostle. It's nice to like your subject, but he went overboard. Someone else should write another biography on him, maybe his wife. An amazing man, humble and brilliant, an inspiring book to read. My visiting teacher partner mentioned how much she enjoyed this biography. Curious, I began reading and was intrigued with the abilities of this man. I was inspired by how he was led by the spirit to receive the training that enabled him to complete his numerous roles so valiantly. This book is well worth reading. Ever feel depressed when you read about someone you think you can't measure up to? You won't with this book. This well-researched volume is not about someone born to wealth or privilege. Elder Nelson, unlike most general authorities, was not even born to an active LDS family. 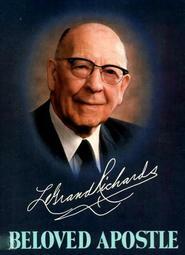 Yet, amazingly, he became stellar in his devotion to family, church and the medical field. Though sometimes discouraged by failures in heart research, he pressed on. The author doesn't sermonize, but lets the story speak for itself. For example, you can see for yourself the hand of the Lord in Elder Nelson's life when you consider that his international acclaim in heart surgery later helped him open doors for the church, especially in China. He worked miracles there that no one else could. I am also touched that Elder Nelson, ever humble, shares so much credit for his accomplishments with his faithful wife, Dantzel. This book leaves me pondering on the influence women have on men, to bless their lives or not. And it reminds me of the huge responsibility we women have to use our power over men wisely, a bonus I wasn't expecting and I'm sure the author didn't intend. This is one you'll want for your personal library.